Zulu brings natural beauty and boldness out of the tribal wilderness. 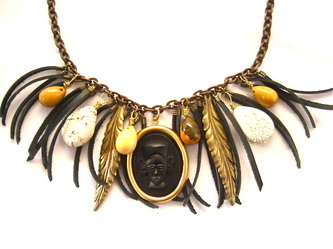 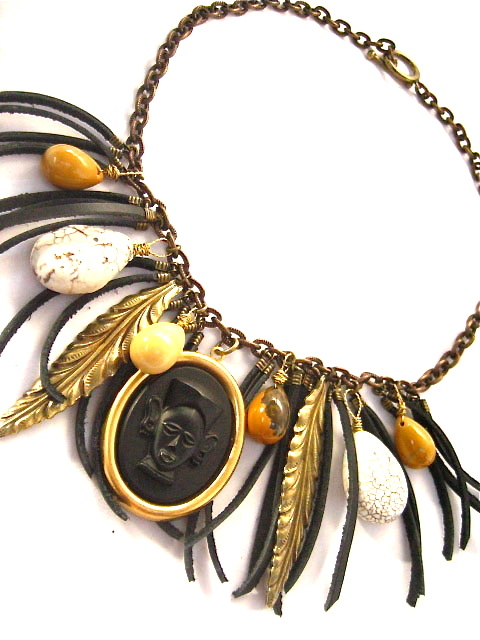 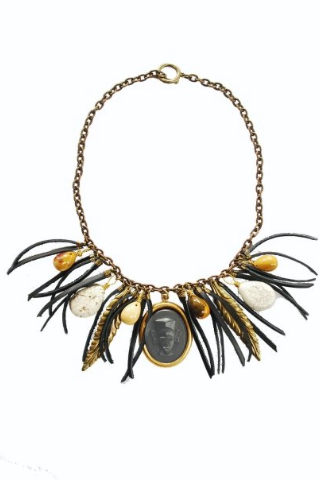 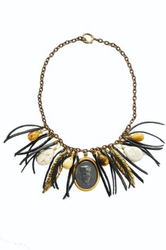 Embellished with semi-precious stones, brass pendants and black leather. Finished on brass plated chain.